Join us from 9am to noon at Scarborough Beach for a special Yoga + Surfing class presented by Surf Camp and Kirsten Beverley-Waters of Thryve. Combine the thrill of surf with the zen of stretch. Next session Sunday, July 29th 2018, 9am-12pm... join us! Enrollment is limited to 8 participants. Ages 13 and up. $99 per person. 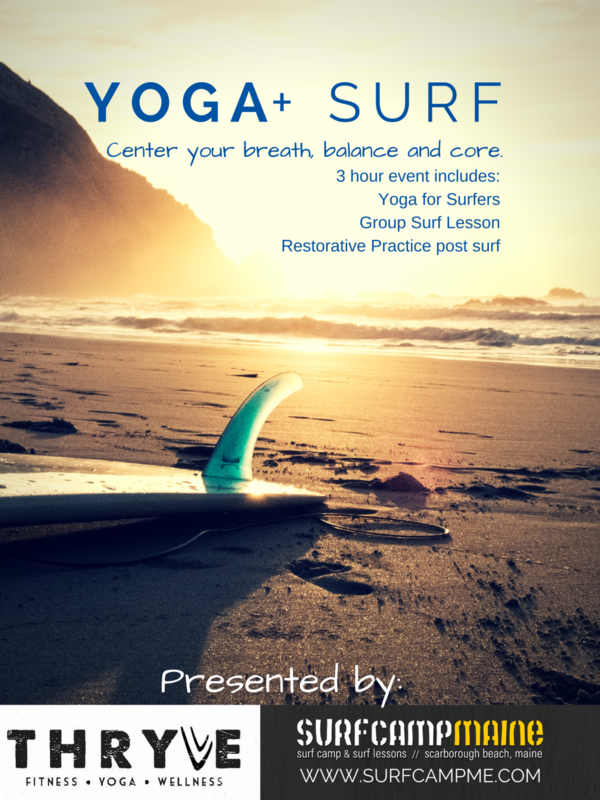 For teens and adults ages 13 and up, your morning will start with a balanced yoga practice on the beach to prep attendees for their surf lesson. This surfer's flow is designed to access stronger breath, balance and core awareness. After the yoga practice attendees will get a surf lesson and time to explore the waves on Scarborough Beach. We will close our event with a restorative practice designed to help you go from stoke to zen and leave you feeling recharged. Yoga for surfing brings attendees through poses we think every surfer should learn. The best training for surfing is of course surfing. But we all know that it demands a lot from the body and can tighten-up, and close-off, specific areas. Pressure is put on the lower back, the chest closes and the hips stiffen. In this 3-hour event, we will release pressure in the spine, open the chest including torso rotation, and open the hips to help re-balance your body. We'll be looking at why this will help your surfing and recovery, plus how to execute these positions at home. This event will provide a challenge for the most seasoned veteran while being totally accessible to newbies on land and water. Join Dustin and Kirsten on the beach for this special event! It's going to be a ton of fun. Aimed at teens and adults, it's a great opportunity for parents and kids to learn together. No yoga or surf experience required. The price of $99/pp includes all gear (surfboards, wetsuits, and yoga mats). Limited to 8 people so sign up online asap! 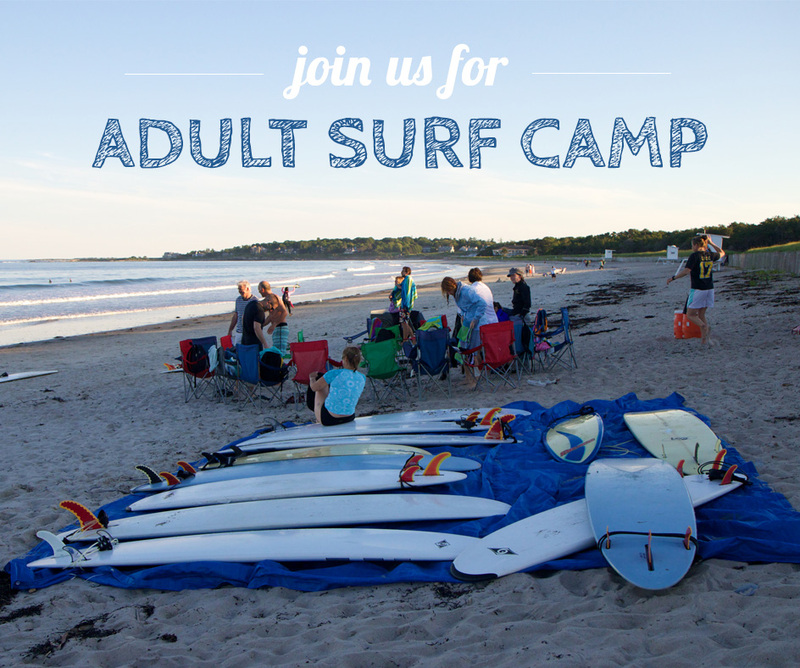 Location: Scarborough Beach State Park, 418 Black Point Rd., Scarborough, ME.